From the outset, Tesla’s mantra was to refresh interest in electric cars — and in a greater way, cars in general — by focusing on what its product can do, and not what it is. 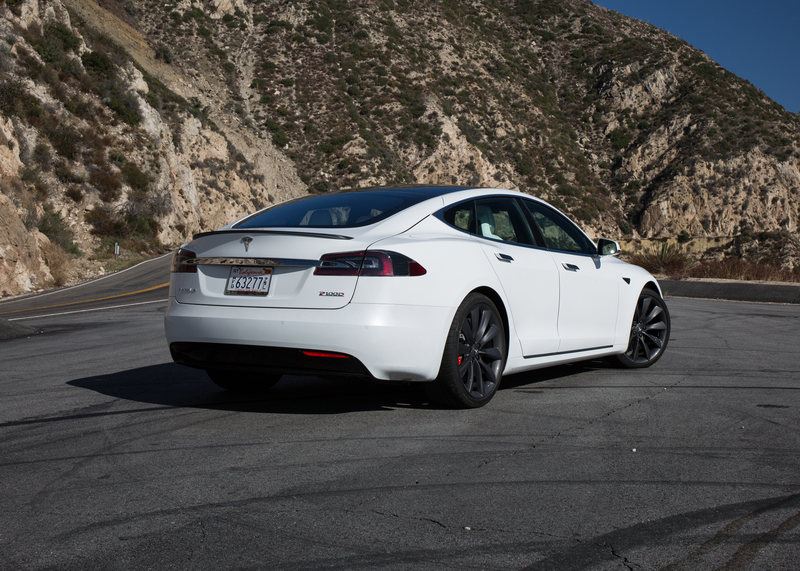 You don’t have to love cars, or even performance, to feel exhilarated while driving a Tesla. After two minutes behind the wheel, you become an incorrigible addict to speed. Much has already been said about the Tesla Model S P100D, which is now the quickest-accelerating Tesla to date. The company has a history of one-upping its own benchmarks in performance, beginning with the P85, then the all-wheel-drive P85D, and the subsequent P90D model. If the P90D is rated at 762 hp, a conservative estimate makes the P100D an 800-hp+ monster. On the outside, this alabaster Model S P100D hardly looks extraordinary. Wearing the revised, grille-less corporate face and sitting on 21-inch wheels, it could pass as any other Model S sedan. Its interior is no different either, the now-iconic, central, 17-inch touchscreen display looking conventional and easy to understand. 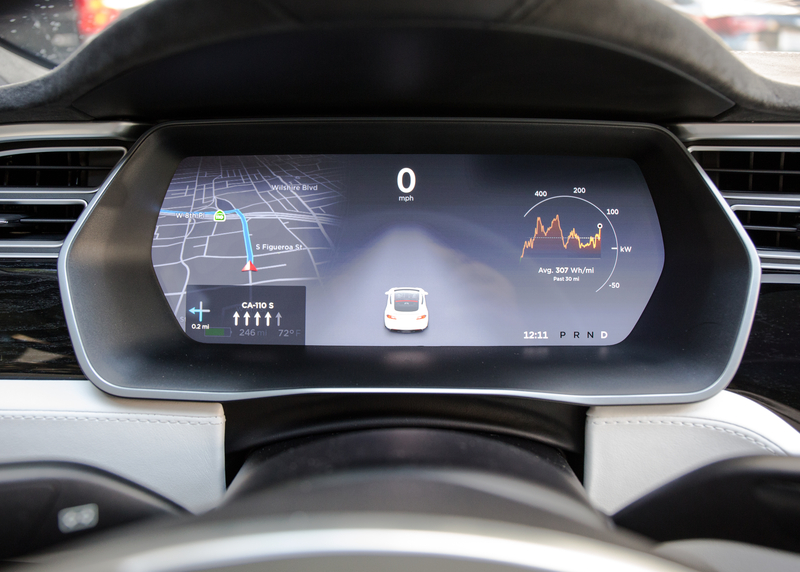 The greatest hint that this Tesla is new and different is the presence of side-mounted cameras on the door frames, logo details, and windshield, which form the basis for the next generation of hardware to enable Tesla’s Autopilot semi-autonomous driving system. We’re just weeks away from the Autopilot over-the-air software upgrade that will unlock the self-driving functionality. But the P100D is so much more than bleeding-edge technology and massive horsepower. The sensation of accelerating in a P100D is almost beyond words. All you need to do to have fun in the P100D is pin the accelerator and not let go, whether in Sport or Ludicrous modes (the latter unleashes the full fury). The experience transforms the inoffensive sedan into a veritable missile. From a dead stop, Tesla estimates that the Model S P100D can accelerate to 60 mph in 2.5 seconds. I can’t confirm the time objectively, but the seat of my pants struggled to keep up. If Ludicrous Mode isn’t enough of a thrill, you could engage Launch Mode, which shaves off a few tenths and is an actual punch to the gut. As much as I wanted to try out Launch Mode, which maximizes battery power and optimizes torque, local speed limits and available tarmac put a damper on those plans. Multiple, consecutive launches are likely to have a detrimental effect on battery range, so it’s best to be on a full charge. Willpower is crucial. The best part about going electric on the high mountain roads of Angeles Crest is that altitude has no effect on electric cars’ performance. You can keep punching the accelerator of the P100D until the battery is depleted, with few electronic drawbacks. Back on the ground (literally and figuratively), the P100D looks at home among a sea of commuter cars and exotics — among them are plenty of Teslas. 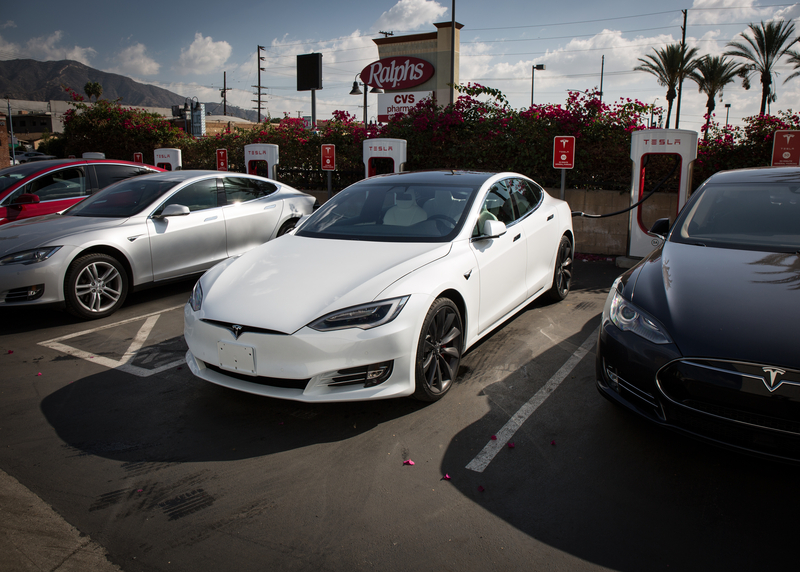 At a Tesla Supercharger depot in Burbank, which was full of charging sedans and SUVs upon arrival, even the Tesla owners failed to notice the new speed king in their midst. I visited the Supercharger not because the P100D was out of juice — it’s rated at 315 miles per charge under ideal circumstances — but to ensure I could perform launch after launch without consequence. Asked by text at the end of the day to describe the experience of pushing the P100D to its limits, I swiped over to the emoji keyboard and replied simply, “.” That about says it all.